Any psychology student can tell you that organisms learn based on feedback and feedback can usually be split into two categories: reward or punishment. As a society, we developed laws to be unbreakable rules to maintain order. The government is responsible for enforcing the laws. However, it’s much easier to give out punishment for those who break the laws than a reward for those who follow them. In ancient times, punishments were incredibly harsh to dissuade people from committing crimes. Death, unfortunately, is one of the most common punishments given out by our species throughout our history. Other forms of brutal punishment were intended to maim but keep the criminal alive to be a warning to others. If caught for stealing, some cultures would cut off the hand that stole. Other cultures would cut out the tongue of someone who spoke out against the government. The punishment prevented a person from stealing or speaking out ever again. Eventually the popular trend of punishment became imprisonment: the taking of a criminal’s time. The original goal of a prison was to remove you from society while you thought about your actions. The government took your time from you, the only nonrenewable resource you have. The intention of keeping prisoners alive was to rehabilitate them and reintroduce them into society, wiser than when they were imprisoned. However, that intention quickly adapted to fit the needs of the government. In the United States, a racial divide has existed since the founding of the country and has taken the form of slavery and segregation laws. Since the triumphs of the Civil Rights movement of the 1960s, laws were made to allow police to continue arresting minorities as an alternative form of open racism. The laws to allow such behavior come from the War on Drugs: a multi-decade long attempt to continue the effects of segregation by imprisoning minorities who are in possession of, usually, harmless drugs. The War on Drugs doesn’t necessarily sound racist but when the statistics of drug usage and imprisonment for drug possession are this skewed, a discussion on institutionalized racism is needed. The punishment systems that are made by the state for imprisoning citizens who break laws of the state is now run as a business by companies. Of course, not all prisons are privately owned but the fact that someone can make money off a prison should raise some questions. Private prisons make their money from the state by holding prisoners for them: more prisoners means more money. They want to see their prisoners return just like a restaurant wants to see a returning customer. In a culture where money has more power than people, prisons have changed their intention away from rehabilitation centers and more toward zoos. Prisoners are treated like animals in an environment where violence reigns supreme. 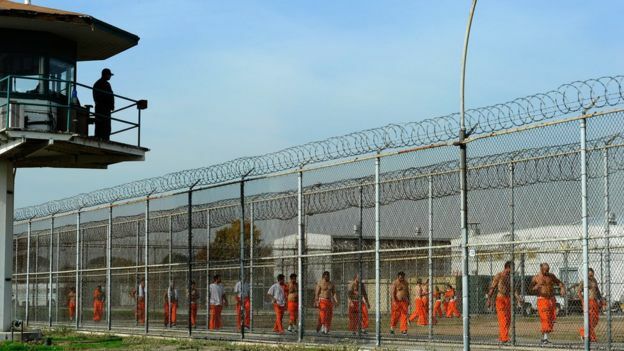 Even nonviolent prisoners must adapt to the violent culture of prison to stay alive. Prisoners are still human, of course. They trade different types of currency, they form clans, and enact rituals. In such a harsh atmosphere, the likelihood of rehabilitation is nearly impossible. However, the likelihood of convicts returning to prison after they are released is incredibly high. In short, the private prisons are making money while human beings, like me and you, are forced to lose years of their lives and often their humanity in the process.